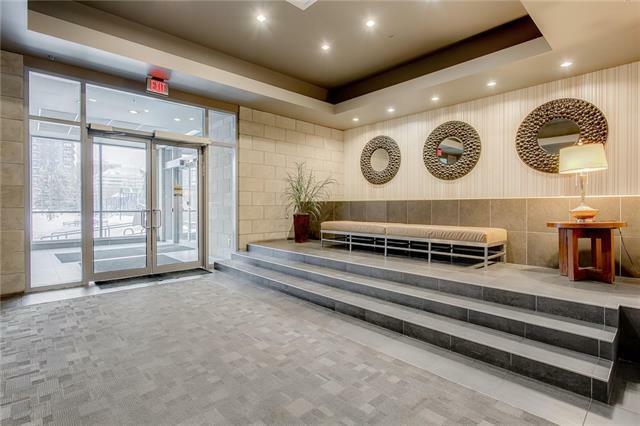 You will love fabulous downtown views from this bright corner unit located in the desirable Union Square building. You will notice the large windows that allow for an abundance of natural light. The open concept living room / dining room is an ideal set up for entertaining while cooking up a storm in your well equipped kitchen with granite counter tops. 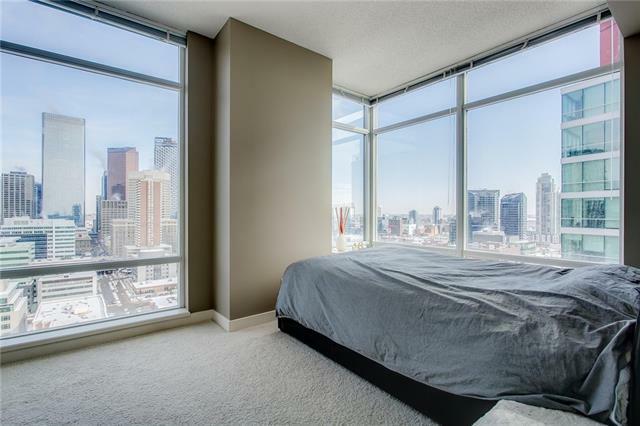 The master bedroom offers sweeping downtown views, a walk in closet and a 3 piece ensuite with large walk in shower. The second bedroom features a sliding glass door and access to the well appointed 4 piece bathroom with laundry area. One of the best floor plans and location in the building. The bonus is the underground owner/visitor parking stall and separate storage locker. 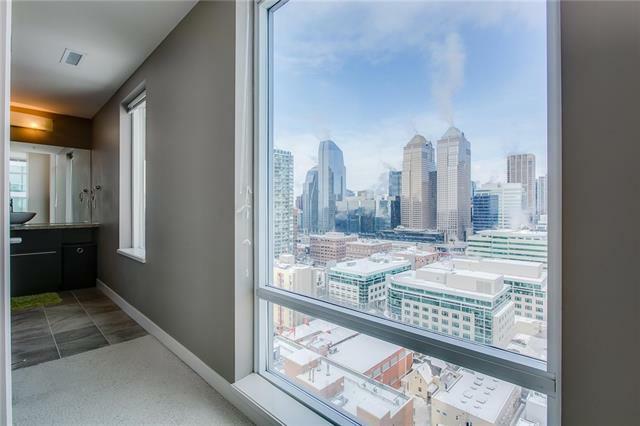 Other notable features include floor-to-ceiling windows, 9 ft ceilings, window coverings, in-suite laundry and air conditioning. 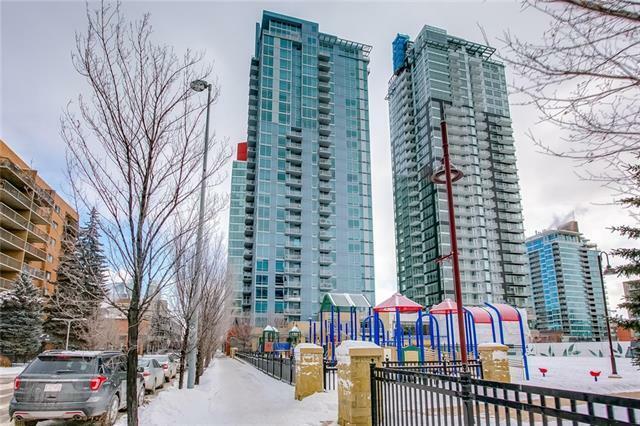 Inner city living at its finest, in a prime beltline location on 1st street walking distance to many shops, restaurants, parks and the Stampede grounds.